4mm x 7mm faux bone beads made of acrylic. Smooth to touch oblong beads in white and blue color. The center features Madonna with Child. Small crucifix. 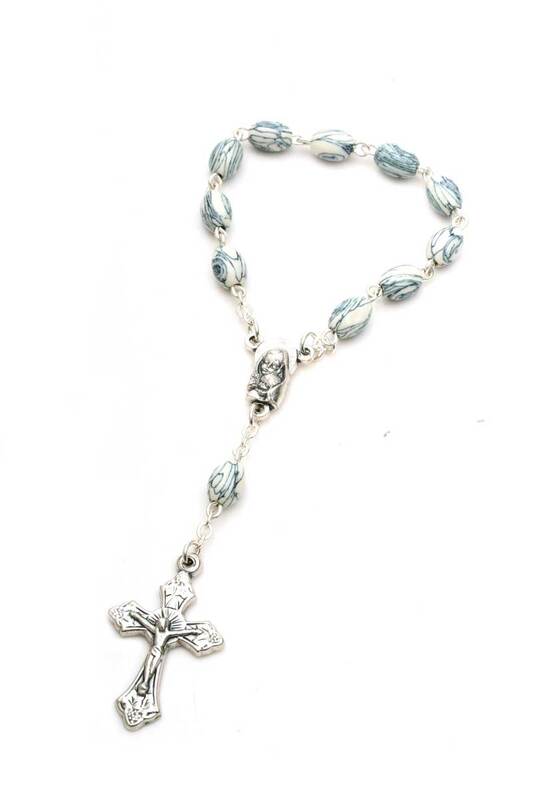 Great small rosary to carry in your pocket. Length: 5"